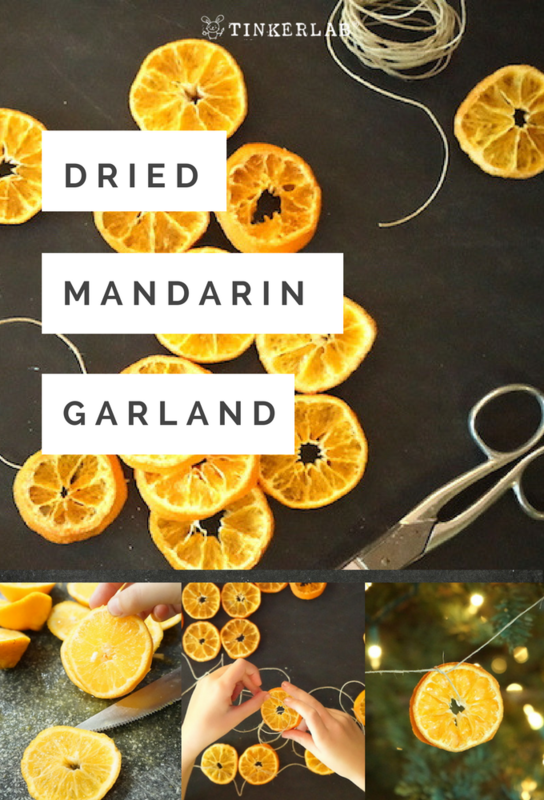 Making dried mandarin slices is one of the easiest winter crafts, you can use the slices as ornaments or in a dried mandarin garland. This hits a home run in my book for it’s rustic, down-to-earth charm. 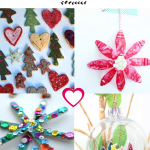 My kids love nature, and it’s a joy to introduce them natural ways to decorate for the holidays. 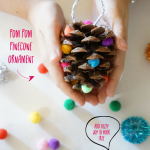 My older daughter likes to string up garlands of popcorn and cranberries, a festive home-spun tree decoration she learned from her Massachusetts grandma. 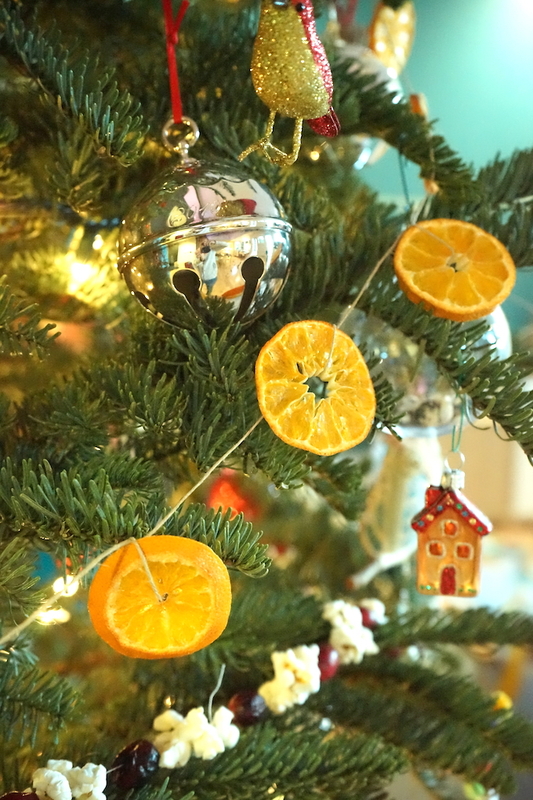 Along those lines, I thought it would be gorgeous to add a string of dried mandarin slices to our tree. Boy was I right! 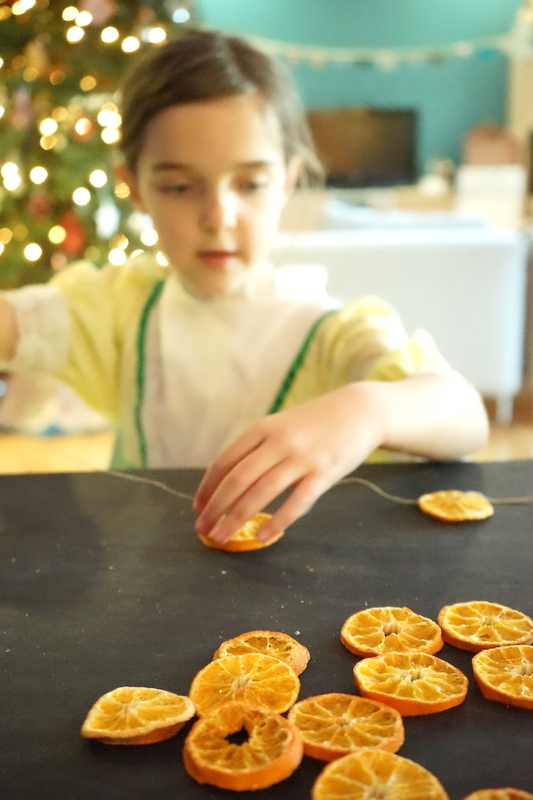 This craft is easy, beautiful, and makes the house smell divine while the citrus dries out. 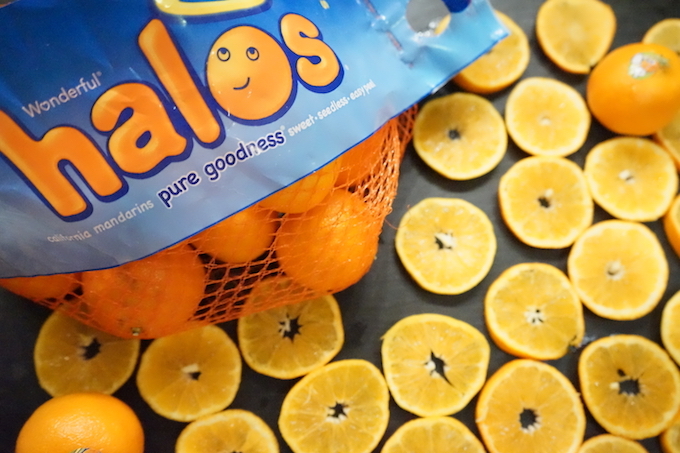 Rather than use oranges for this craft, I chose to use Wonderful Halos, a mandarin from my home state of California! 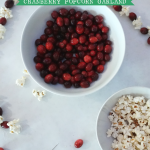 Not only is it a yummy snack (we ate so many while making this! 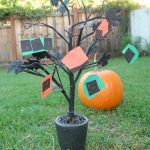 ), but the naturally created hole in the center of the mandarin makes it so easy for young children to string up with twine. 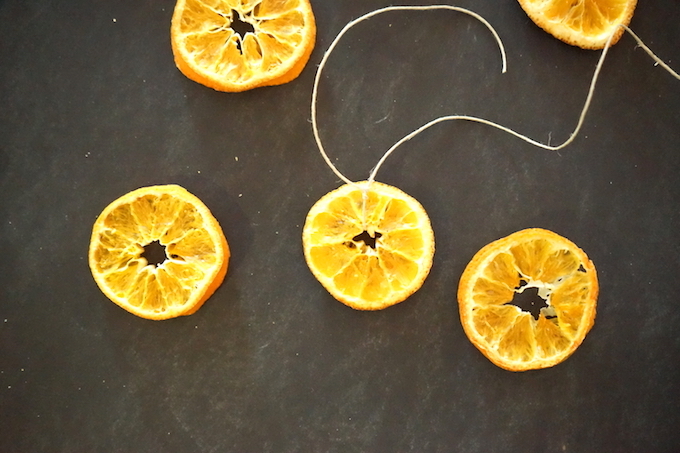 Because the center isn’t solid, Wonderful Halos mandarins are the ideal citrus for this Christmas garland. 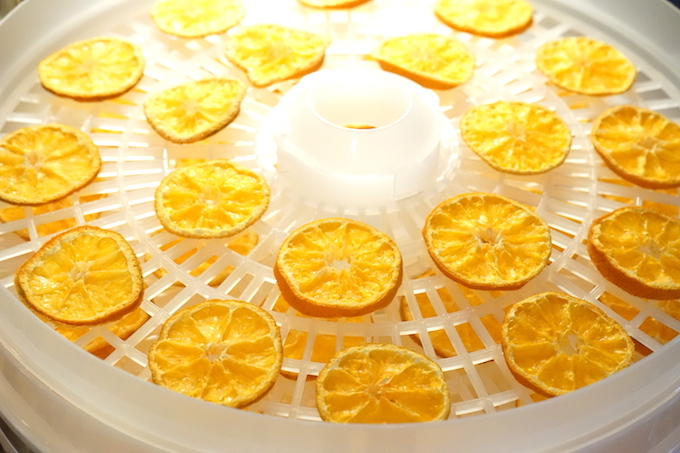 * We LOVE this BPA food dehydrator. 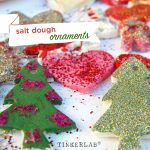 It makes the drying time so much quicker and you can use it for other yummy snacks like dried apples or bananas. If you’re also using a Homdox Food Dehydrator, set it to 120-140 degrees. We started our at 5 pm and let it run until 8 am the next day (15 hours total). 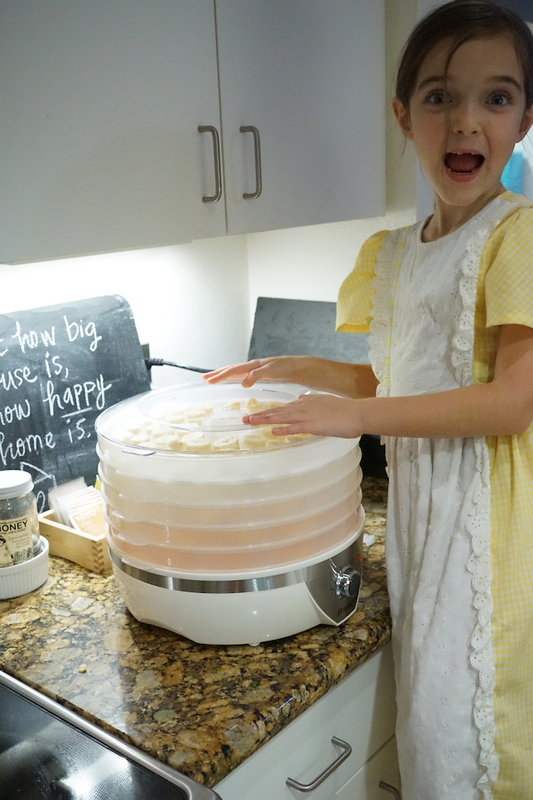 That’s one happy kid with her fruit-filled dehydrator! We get a CSA box each week, and she added in an assortment of bananas, apples, and pears for extra snacking. The mandarins turned out gorgeous! 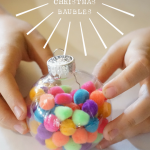 Crisp, bright, and ready to string into ornaments and garlands. 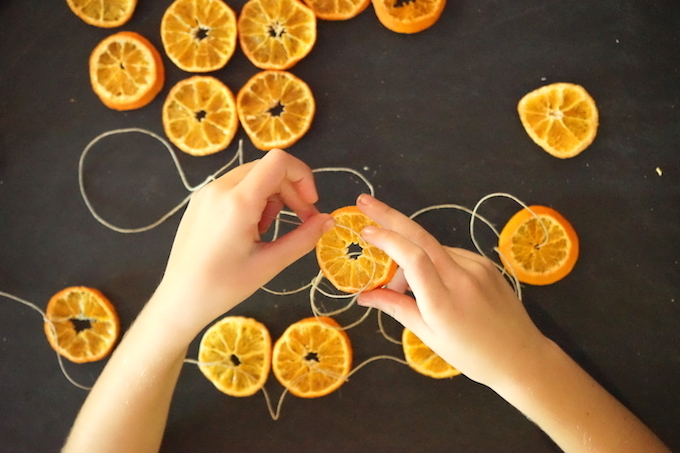 The beautiful thing about these mandarins is that big hole you see in the middle, which makes it extra simple for small hands to string. Cut the Wonderful Halos into thin circular slices, about 1 cm wide or as thin as you can make them without tearing. I was able to get between 3 and 4 slices from each mandarin. Place them on the food dehydrator or in the oven. Follow the instructions on your dehydrator for temperature and duration. If you’re using the oven, set it to 200 degrees F / 95 degrees C. Place the mandarins on baking sheet lined with parchment paper and bake for 6 hours or so. 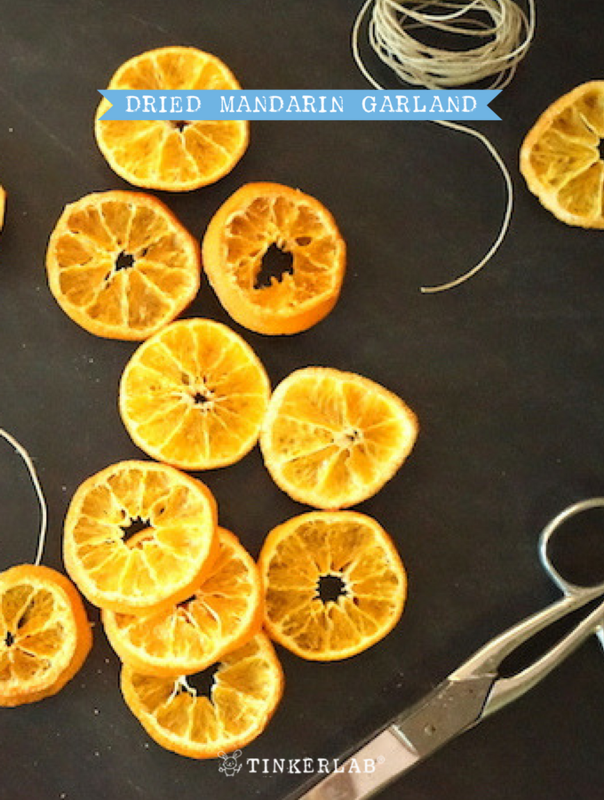 Flip the mandarins every hour to keep them from browning. Remove when no moisture remains in the mandarins. Remove from the trays when dry. Cut a long piece of twine. 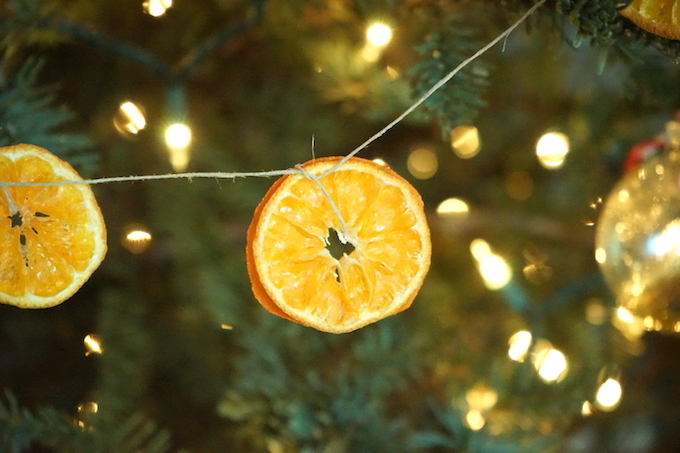 String it through the hole of a mandarin slice and tie it off, leaving some tail on the twine. 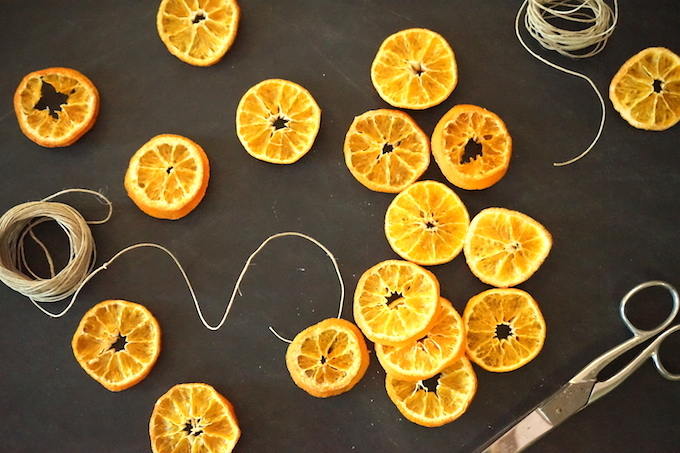 Keep adding mandarin slices until you reach the desired length. 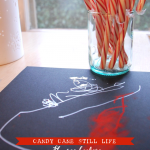 Hang it from your tree, wall, or mantle. So pretty! 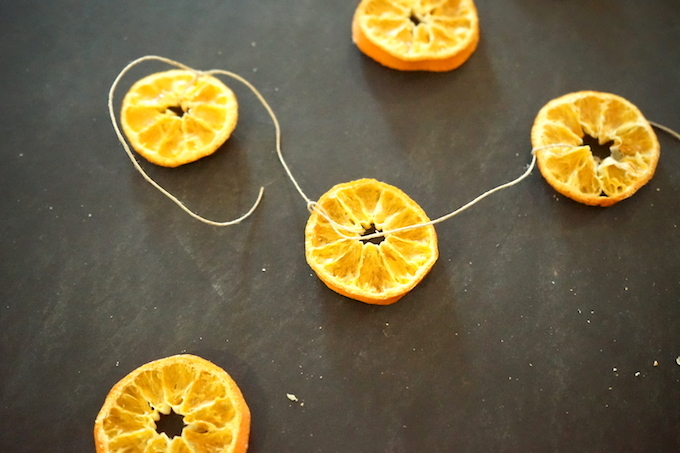 Another idea is to make individual ornaments from the dried mandarins. 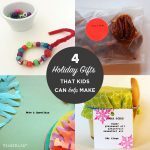 My girls added some to gifts for their favorite teachers. Make good snacking choices by choosing Wonderful Halos over other traditional unhealthy snacks in order to lead a healthier lifestyle. Submit your “good choice moment”in the comments below. If your “good choice moment” is selected, you will receive a Wonderful Halos kit and a supply of Wonderful Halos product as a giveaway. Contest closes 9 pm PST on 12/31/17. Good luck! This is really pretty and I bet it smells great! 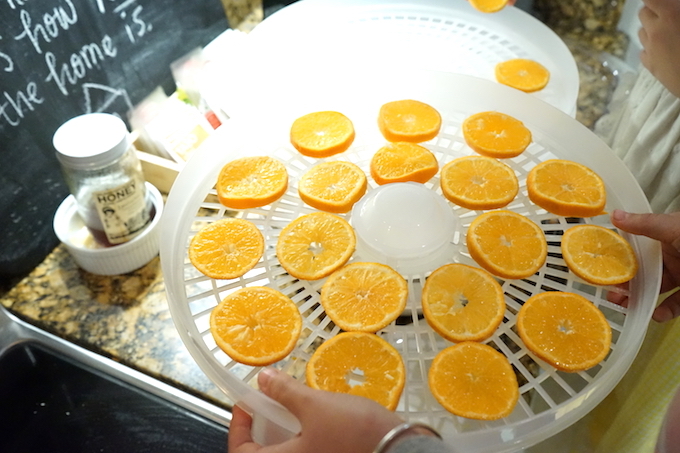 It almost makes me want to finally buy a food dehydrator. I love this. I made an apple wreath years ago with dehydrated apple slices and I enjoyed the scent for a long time so now I need to make a Halo garland. 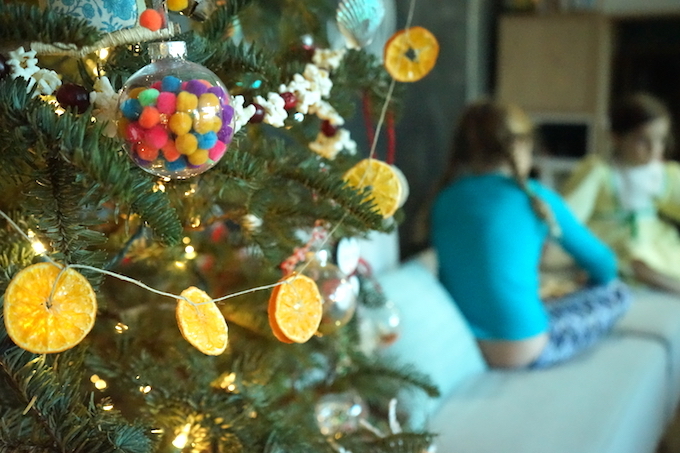 We love those little mandarin oranges in our house- we can’t keep a bag around for more than 2 days. Sharing this on Pinterest. What a great idea. 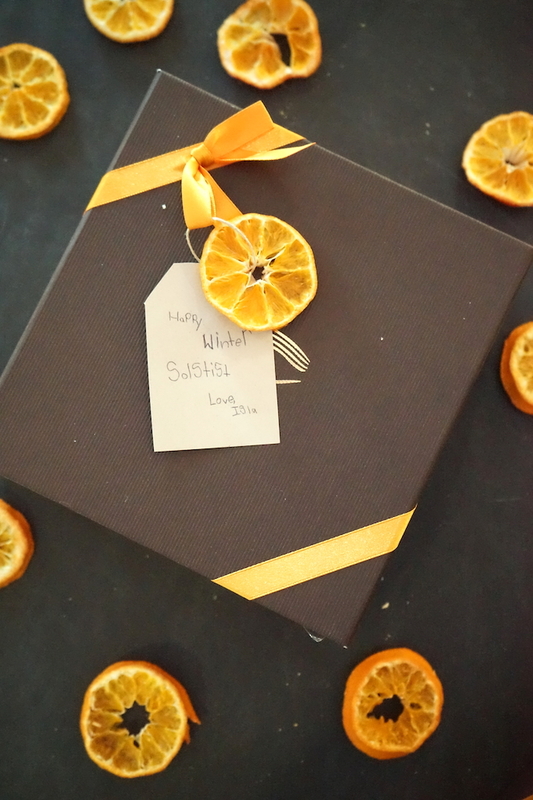 The oranges are beautiful! We always have halos at our house. Will you hang them outside for the animals when you are done?? I bet they would love them also.